This Is like any regular picture Contest But a bit different.Read the rules carefully. 1. All you have to do is post a picture or Icon of selena according to the topic given by me in each round. 2. You also have to post a random pic or icon on a theme given by me. The winner of the random icon will be decided by me. 1. 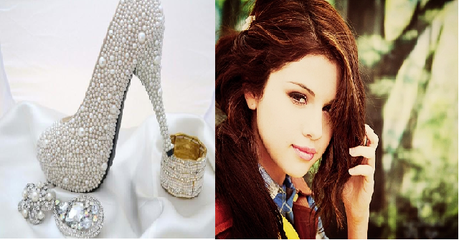 The winner of Selena Icon will get 20 PROPS. 3. The winner of both Selena And Random icon will get 25 PROPS for victory in both. 3. I will also post the name of my favourite icon in each round if it doesn't coincide with poll result. 3. SELENA QUESTION- What was Selena's first show? 3. SELENA QUESTION- What is her mother's name? 4. RANDOM QUESTION- What is your Idea of an Amazing personality? Explain. In other words what qualities do you expect from your partner/best friend or what qualities make an ideal personality. 3. SELENA QUESTION- What is her favourite song? 4. RANDOM QUESTION- Princess Diana Or Princess Kate? Who do you choose and why? Justify your answer. 3. SELENA QUESTION- What does her purity ring say? 4. RANDOM QUESTION-If you became a multi-millionaire overnight, what would you buy? 3. SELENA QUESTION- What is Selena's third song on when the sun goes down? 4. RANDOM QUESTION- which fairytale/fictional character you associate yourself with and why? LET'S START!!!! It will be fun.